When you find yourself without air conditioning in your Indianapolis home, you need a team of technicians that offer top-quality, dependable AC replacement. Service Plus Heating, Cooling & Plumbing has been bringing superior, family-owned and operated service to our patrons for nearly 15 years. When it comes to providing you with quality air conditioner services, we put your needs above all else, and we guarantee we will exceed your expectations. Looking for AC replacement in Fishers, Carmel, Indianapolis, or the surrounding areas? Contact Service Plus online or over the phone at (317) 434-2627 today! When Should You Consider AC Replacement in the Fishers Area? Repairs become too frequent. Need repairs yearly or even more? In this case, you’ll save tons of money by seeking a replacement instead. Repairs become very costly very quickly, and frequent repair is a clear sign of a failing system. Your comfort needs are not being met. If your system is just not capable of providing the comfort you desire, schedule Fishers AC replacement. It could be that the system has gotten too old or was incorrectly sized. Either way, our experts can get you the comfort you need. Your energy bills are too high. Noticing a spike in your energy costs? A reduction in efficiency is a clear indicator that it’s time for replacement, and current systems are many times more efficient than systems even a few years old! The air quality in your home is poor. A reduction in air quality is a common sign that your system is no longer working up to standard. Additionally, poor air quality directly impacts efficiency and the overall health of the occupants of your home. Your system is too old. Generally speaking, you can expect 10 or so faithful years of service from your HVAC system. Beyond that, you’ll save money on efficiency and repairs by scheduling AC replacement in Fishers or the surrounding areas. Contact us online today for more information on our AC replacement in Carmel, Fishers, Indianapolis, and the surrounding areas. We operate on the idea that quality, dependable service is key to ensuring your complete satisfaction. This is why we offer the best and most efficient products when it comes to air conditioners. No matter your needs, we can meet them! Our specialists can expertly size, install, and check your new system to optimize performance and efficiency, ensuring you get the best possible AC replacement solution. We can assist you in choosing the best unit for your home, and we won’t consider our job complete until we’re confident your home is being properly cooled. 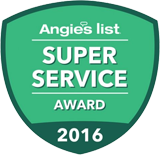 If you’re looking for AC replacement “near me,” look no further than Service Plus. Call us today! Whether your current system is failing or you’re looking for a better unit that offers higher efficiency, Service Plus can provide. Contact our experts today to learn more about our HVAC services or to set an appointment! If you’re looking for one of the best HVAC companies in the Indianapolis area to trust with your air conditioner service, look no further than Service Plus. To schedule AC replacement in Fishers, Carmel, Indianapolis, or the surrounding areas, contact us online or call (317) 434-2627 today! Have additional questions about our A/C services?